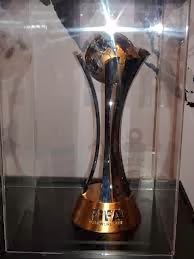 The Argentine Football Association (AFA ) would intend to introduce in the coming weeks a project to FIFA to host the 2017 and 2018 editions of the FIFA Club World Cup , and to give boost to the candidacy for the 2030 World Cup . FIFA opened Wednesday the option to apply to the headquarters of this event, which became world famous in Tokyo as the Intercontinental Cup and then mutated into the Club World Cup , with representatives from all continents . In order to give a boost to the candidacy to host the 2030 World Cup, AFA proposed. to its pair of Uruguay, AUF, the option to make an edit on each side of the Rio de la Plata. However, in the absence of decision by the partner 2030, the AFA began designing two options exclusively with Monumental and the Bombonera as stadiums to be chosen. The classification of the organizing club is still not defined and is a slow process that is still the subject of bids from potential beneficiaries: Boca and River. The recent Copa América in Argentina ended with victory for Uruguay in the final held at River Plate’s Estadio Monumental in Buenos Aires. Having beaten favourites Argentina in the quarter finals en route, they have now won more Copa América tournaments than any other team, and, having reached the semi-finals of the 2010 world cup in South Africa, few can argue Uruguayan football isn’t on the ascendancy. In 19 years time is the centenary of the first world cup and humble back-room discussions of it being played once again in Uruguay began to take shape in the early 1990s. The first formal discussions took place in October 2005 when FIFA president Sepp Blatter visited the Uruguay to commemorate the 75th anniversary of the 1930 world cup. He met with then Uruguayan president Tabaré Vázquez who suggested the idea of the country hosting the tournament jointly with another Mercosur (a regional trade bloc) nation. The 1930 competition was a much smaller affair compared to modern times as many European teams refused to make the journey to Uruguay. A total of 32 teams played 64 matches in ten stadiums in the 2010 tournament in South Africa – significantly more than the 13 teams who competed in 18 matches in 1930. And in only three stadia were used – the Centenario, Estadio Pocitos (a small ground with capacity for just 1,000 supporters) and the Estadio Parque Central with room for around 25,000 fans. Later that month, support was also received from CONMEBOL, the South American football confederation. And in June 2010, a day before the start of the 2010 World Cup, the bid was officially proposed to Sepp Blatter in Johannesburg. Further support was received earlier this month as the discussions were taken to the highest level – it was discussed at a presidential summit between Cristina Fernández de Kirchner and José Mujica. Aside from the opportunity for the world cup to be jointly hosted by one of the oldest football rivalries, other benefits to the countries have been highlighted. Only one other world cup has been jointly hosted – the 2002 tournament held in Japan and South Korea. Both countries initially pursued separate bids but joined forces shortly before the vote. The tournament was hailed as a success and raised the profiles of both countries, but due to initial difficulties regarding decisions of where to hold the important games and the naming of the tournament, FIFA declared joint bids would be accepted in the future. Mixed messages have been received since then. The Libya and Tunisia joint bid for the 2010 tournament was disregarded out of hand. But then joint bids from Belgium and the Netherlands, and from Portugal and Spain for the 2018 and 2022 world cups respectively were accepted by FIFA. With explicit support from FIFA, and the fact that Grondona is both close friends with Blatter and a senior FIFA vice-president, would appear to put the bid in good stead. But, money will have to be spent on infrastructure. The average stadia capacity in South Africa was 51, 500 with an average match attendance of 49,500. Compare this with the average capacity of the seven Argentine stadia used for the Copa América of 40,250 and it becomes clear that facilities will need to be expanded to cope with the additional fans. Even the Estadio Centennial can now fit only 66,000 fans, while there are just another five stadia in Uruguay with a capacity over 20,000. A previous attempt to host the centenary of a major global event in the first host country went awry in the 1990s. Athens, founder of the ancient Olympics and the location of the inaugural modern Olympics in 1896, lobbied furiously for the competition to be held there in 1996, but the decision controversially went in favour of Atlanta in the US. Greece had to wait a further eight years for the Olympics to return home. However, this time it appears Uruguay and Argentina have set out their stalls early with FIFA and have high level support both domestically and across Latin America. This passion among the fans and players remains both in Uruguay and Argentina. A world cup based around the Río de la Plata would be a mouth-watering prospect. It is too bad we will have to wait until the end of the decade to discover if the bid is successful. Presided by Dr. Nicolás Leoz, the meeting of presidents of National Associations and members of the Executive Committee of CONMEBOL took place at the house of South American football, this Wednesday, November 25. The following presidents participated: Carlos Chávez (Bolivia), Ricardo Teixeira (Brazil), Harold Mayne-Nicholls (Chile), Luis Bedoya (Colombia), Luis Chiriboga (Ecuador), Juan Angel Napout (Paraguay), Manuel Burga (Peru), Sebastian Bauzá (Uruguay), Rafael Esquivel (Venezuela); and the following members of the Executive Committee: Eugenio Figueredo (vice-president, Uruguay), Eduardo Deluca (general secretary, Argentina), Rómer Osuna (treasurer, Bolivia), and directors Nicolás Delfino (Peru) and Francisco Acosta (Ecuador). The President of CONMEBOL welcomed the new president of the Uruguayan Football Association, Dr. Sebastian Bauzá, wishing him success in the sport and institutional achievements during his management. He also requested an applause for the five national teams qualified to the World Cup of South Africa 2010, with the certainty that they will honor the prestige of South American football in the maximum football meet. 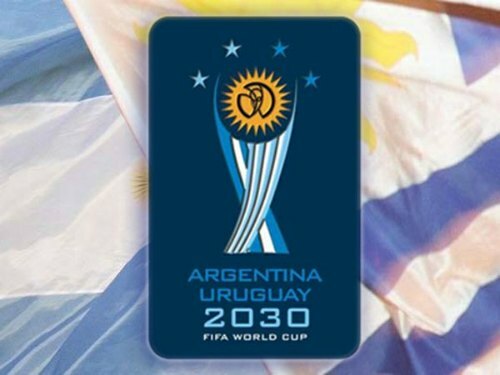 Unanimously, the presidents of the South American associations and members of the Executive Committee gave their total support to the combined candidacy of the Argentine Football Association and of the Uruguayan Football Association, to organize the World Cup of the year 2030, when a century since the realization of the first FIFA ecumenical meet will be completed, in which both associations played the final.